And that's the result. 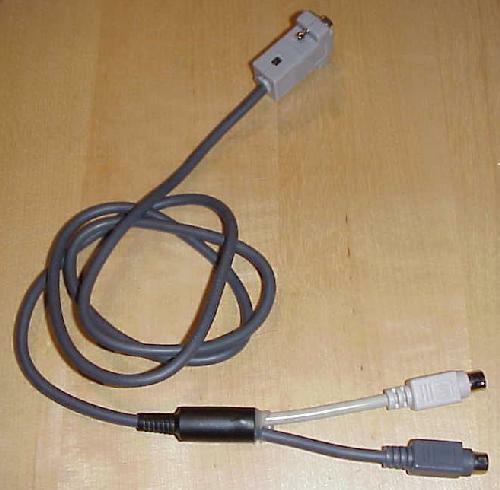 A CAT cable with RS232 level shifter fitted inside a normal DB9 RS232 plug housing capable of using either DTR or RTS for PTT control and also capable of beeing powered by the PC or the Radio. TESTED  WITH  DIFFERENT  RADIOS AND PC'S AND  UNTIL  NOW IT  WORKS WITHOUT  PROBLEMS. The whole project consists of two schematics. 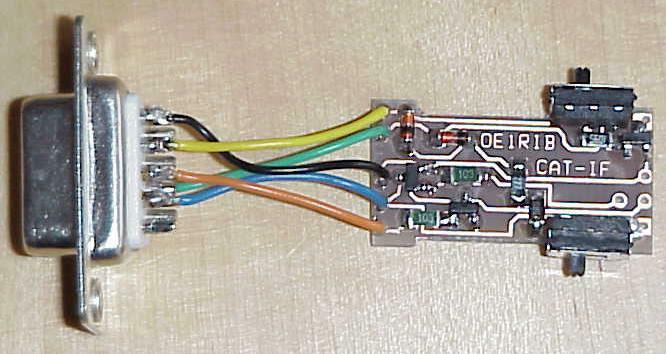 The CAT-Interface with the RS232 level converter and the PTT driver, and the SoundCard-Interface connecting the computers Soundcard to the radio. 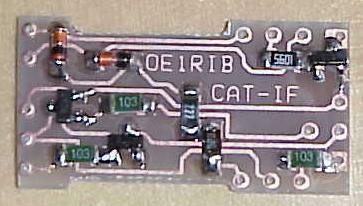 The CAT-Interface is responsible of converting the original PC RS232 voltage levels of about 12V to the Radio level of 5V. To do this it needs a power source. 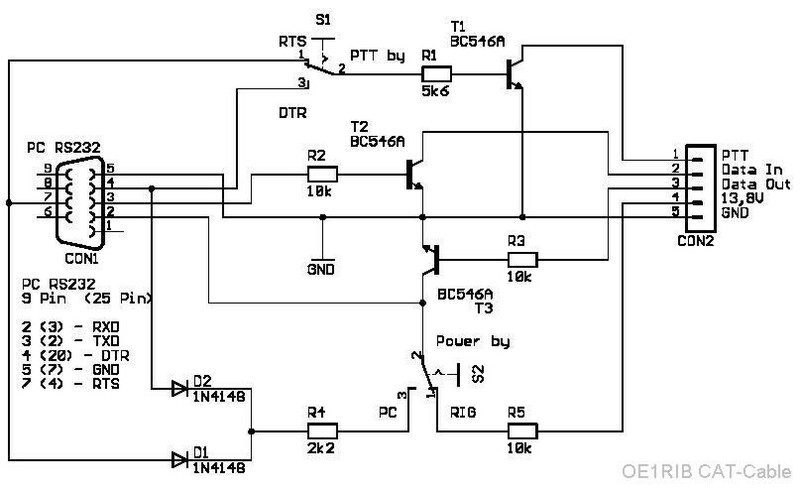 This could either be the 13.8V source on the ACC Connector of the Radio or the RTS/DTR Pins of the Computers RS232 Port. 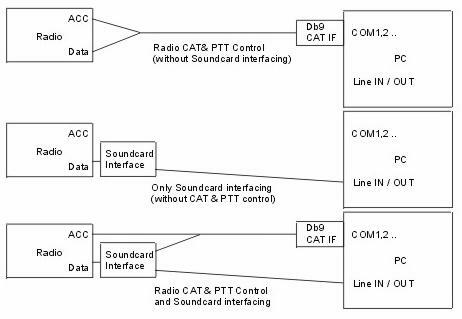 Because of the fact that the PTT pin on the FT-817/FT-100 is located on the Data Connector and not on the ACC jack and that it should be possible to use the CAT Cable without the Soundcard Interface a hybrid Cable was invented. As you can see on the Drawing below the complete Cable consists of two completely independend Cables each capable of working without the other. One cable handles the CAT communication and PTT handling (the Y-Cable) and the other one handles the NF from and to the Radio. Dont be afraid about the fact that this Cable is completely built using SMD components. It just looks complicated but it isn't. 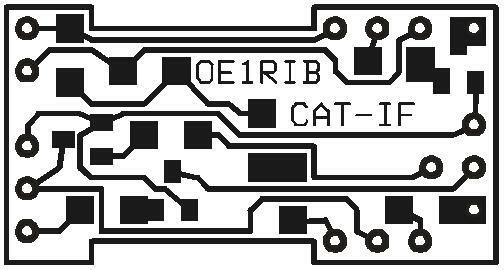 You only have to be carefull when producing the PCB. There are fairly small copper traces on it. If you do it wrong they can be etched away. 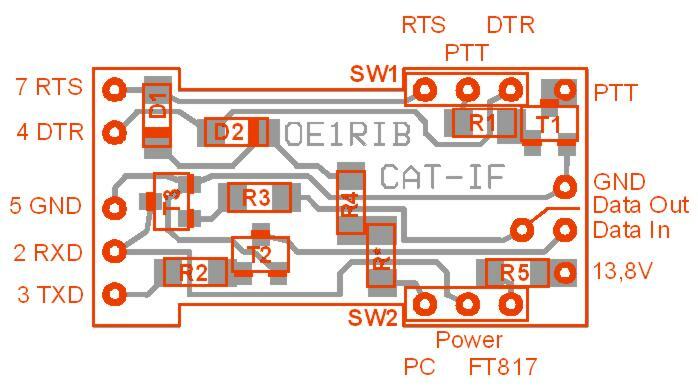 To find the components from the Schematic you can use the Silkscreen. 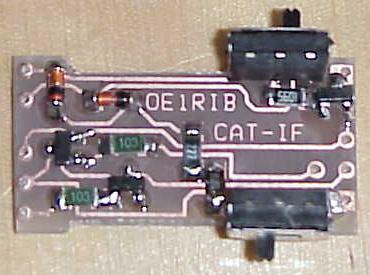 The Resistor R* (red marked in the Silkscreen) is not shown in the Schematic drawing. It isn't actualy a resistor at all it is a 0 Ohm resistor just working as a "bridge" between two points on the PCB. If you can't get one you can use a very short piece of wire. Here you can see how the cable looks during different stages of the building process and how it looks when it's finished. Be sure to get the right DP9 Housing so that the PCB fits. 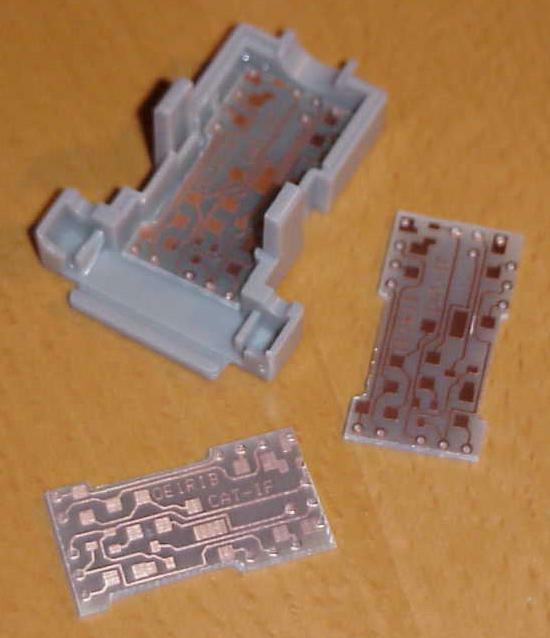 If you use another DB9 housing you will have to trim the PCB accordingly. If you have successfully tested it with other types of Radios just let me know so that i can put a statement about it here on the page. Some notes to the power supply of the Cable. Power is either taken from the PC's RS232 Port or from the Radio. To function properly in PC powered mode one of the RTS/DTR Pins has at least to be set high by the Application. If you have an Application which doesn't set it correct you have to switch to Radio powered mode. But be sure to either disconnect or switch back to PC powered mode when you finished your work. Some Radios (like the FT-817) supply power to the Cable even if they are turned Off. This is not a big problem when your Radio is in the Shak. But when you run on Batteries you could be sure they are empty the next time you want to use your Radio. In PC powered mode you dont have to care about it because when you switch off your PC the Cable is no longer powered. You have been warned! Sometimes the combined powerer scheme by DTR/RTS could be a problem. Not all software handles these signals the way you want it. To overcome this it would be a good idea to use a 3 position switch for S1 with off in middle position. Thus you can isolate PTT completely from the PC but you must then set S2 to FT-817 powered mode. Also if you use a 3 position 4 pin switch and a super small power jack you can power the interface from either the PC, the FT-817 OR externaly using a battery or power supply. I have not done this in this project because it is not trivial to find such small switches. Just for reference: Here you will find the Pinout of the ACC and DATA Ports of the FT-817 as seen from behind the radio (also shown in the FT-817 Manual). Connect the MiniCat Cable to the blue marked Pins. Title: "Flexibles Subminiatur-CAT-Kabel für FT-817, FT-100 und andere"